There, just around the corner from Harrods, is a new type of health and beauty store offering products and services more usually found in a clinic than on the High Street. Described as ‘the first health and beauty mediclinic’, Omniya specialises in advanced skincare (think cosmeceuticals, cult brands and pharmacy), supplements and bespoke services. 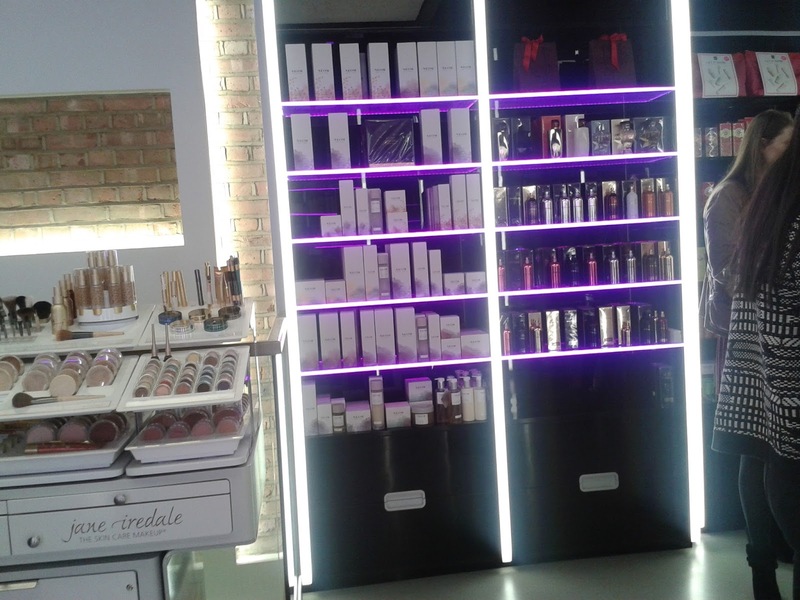 The modern, bright and plush store has a private GP, a nutritionist, beauty therapists, wellness experts and a pharmacist, as well as medical and aesthetic practitioners. It’s a haven for those who embrace all aspects of health and beauty – and who have the financial resources to fund it (products and services at this level don’t come especially cheap). More on Omniya here. Omniya was also the venue for a meet-up last week of members of the #30PlusBlogs Collective , a brilliant initiative created by London Beauty Queen Hayley Carr to bring together and celebrate bloggers over the age of 30 (primarily) - the blogosphere is still predominatly populated by the younger generation. It was the perfect setting for the gathering – many of us 30 plus beauty bloggers write day in, day out about the sort of stuff available at Omniya. 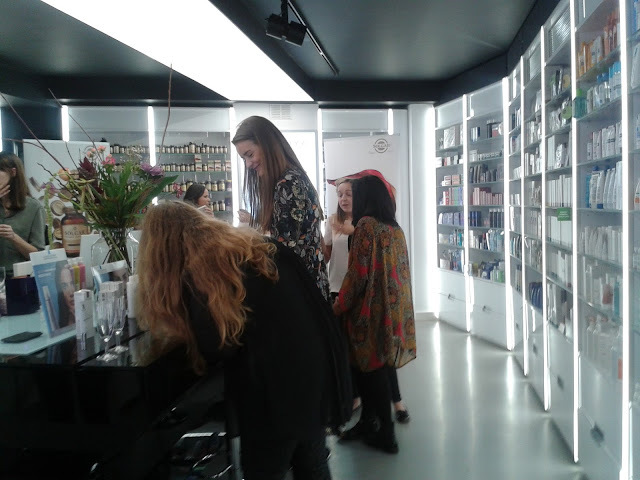 As well as having the chance to chat with each other, we got the opportunity to quiz experts representing brands available in-store including SkinCeuticals, La Roche-Posay and the Viviscal Professional hair supplements. 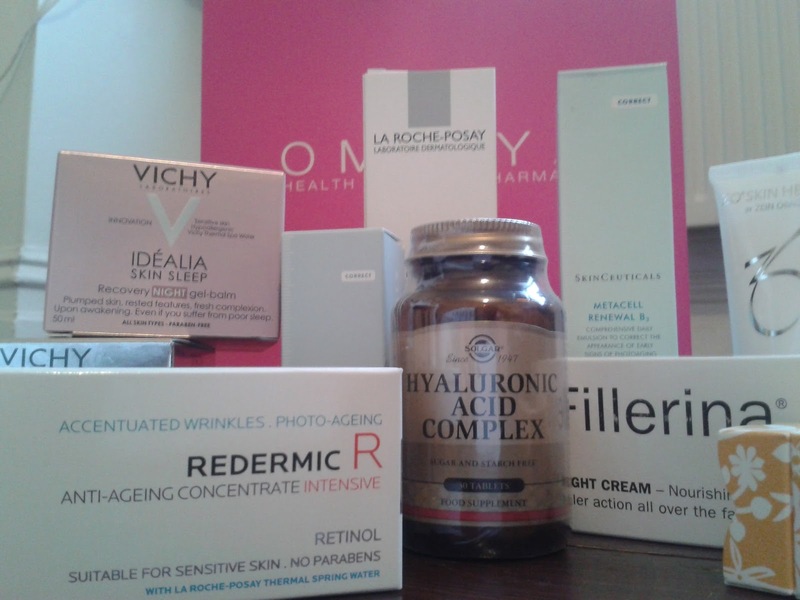 We also got to take home a very generous collection (above and below) of products from brands including Fillerina, Vichy, Roger & Gallet, SkinCeuticals, Solgar and ZO Skin Health. Inside too was a voucher for a facial – I need to get that booked! My dermatologist is a big fan of SkinCeuticals, particularly their C E Ferulic. I haven’t tried anything from the brand before, hence my keenness to crack open this duo. The SkinCeuticals Retexturing Activator is a resurfacing and replenishing serum to reinforce the skin’s barrier. It promotes exfoliation to rid the skin of dead cells, thereby diminishing lines and creating a smoother surface. It’s a fluid serum that’s easy to apply with the dropper and sinks into the skin quickly. I’ve been using it for about a week which is a bit too early to draw any proper conclusions, though my skin has got some slight peeling going on at the moment (I recently did a quick treatment with my resurfacing ReAura home Fraxel laser so that could be contributing). 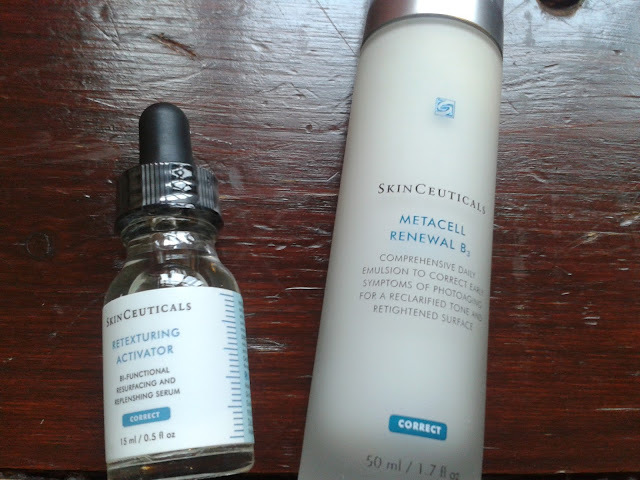 The SkinCeuticals Metacell Renewal B3 is designed to correct early signs of photoageing. It contains a high amount of Niacinamide (5%). This ingredient has good research behind it supporting improvements in fine lines, pigmentation and skin texture. The daily fluid also has a 2.5% concentration of tri-peptide for skin tightening. Efficacy is not something I can judge yet but this is a light and silky formula that feels soft and hydrating on the skin. 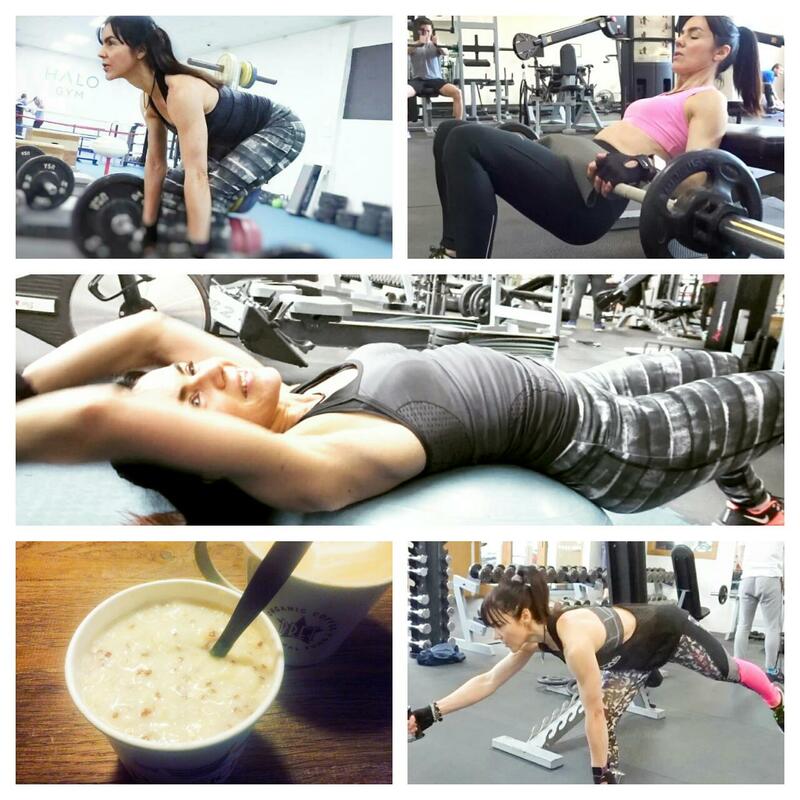 More on SkinCeuticals here. 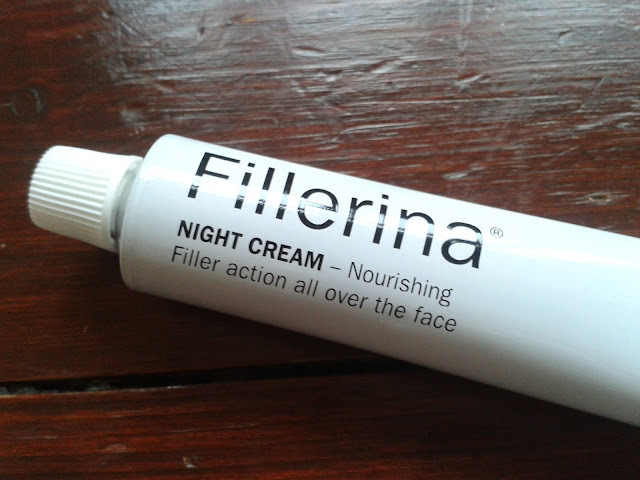 This is the highest grade (there are 3) of a daily maintenance product to be used in conjunction with Fillerina’s at-home, no-needle dermo-cosmetic filler, which contains a blend of 6 types of skin plumping hyaluronic acids in differing weights and structures. It is said to be the only cosmetic filler that allows large quantities of hyaluronic acid to penetrate into the cutaneous tissues, without injections. The night cream (which you can use alone as I am doing) contains a lower concentration of hyaluronic and peptides than the gel filler. It also contains ‘skin regenerating’ ingredients including shea butter, wheat germ oil, sweet almond oil, rose hip seed oil, vitamin E and tree fern extract. It’s very silky (I imagine that is partly due to the dimethicone – second ingredient on the list) and it leaves skin feeling soft and nourished.More on Fillerina here. Have you visited Omniya? Are you part of the #30PlusBlogs Collective? Ooh, I heard about the Omniya/#30PlusBlogs event. It looks fantastic! I really like the sound of the SkinCeuticals Retexturing Activator. I've been concerned about how dry my cheeks feel lately so I will be checking all of these out. This was such a fabulous event, wasn't it? 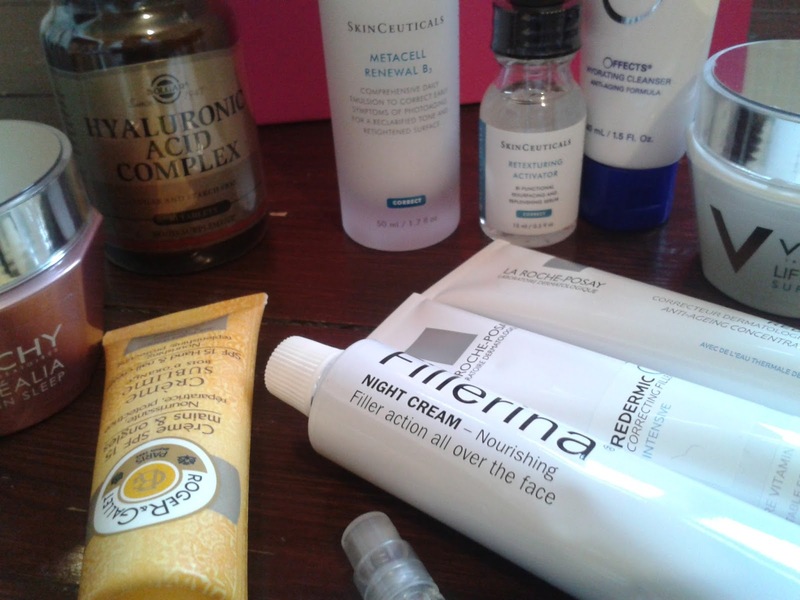 I had a great time and what a lovely collection of products to try. I love that most of them are unknown and need a bit of research to know what to do with them. It feels like serious, grown up skincare and we all need a bit of that sometimes. Hope to see you at a future event! I went for a facial at Omniya a while ago and it was great - a really welcoming place and the staff know their stuff! It was actually a SkinCeuticals facial - their products really work!! I've never heard of anywhere like Omniya, it looks amazing (and pricey). The Fillerina night cream sounds a little like magic, I'd love to see some before and afters. It's great that you're part of #30PlusBlogs, I've seen it from a far but unfortunately my age limits me from joining! Looks like a fab event! Wish I was nearer!